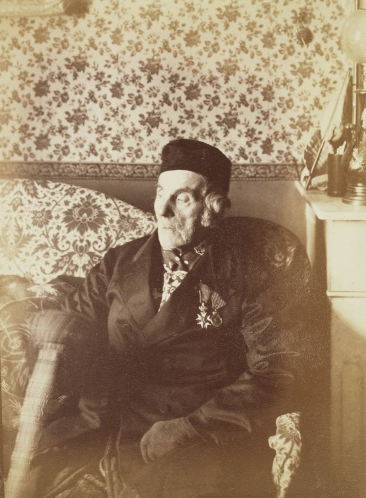 I want to tell you briefely about this wonderful image I came across last night; its a photo of a Frenchman, and a Frenchman who fought the British, but let’s not let that get in the way of a good tale; he was quite a remarkable man, if only for his longevity. To think that a self confessed “old codger” named Sam Ledward is still alive and living in Wales at the grand old age of 106, this makes the Battle of Trafalgar only just beyond one step of living memory. (Leward must have been born in 1906, only 14 years after Cartigny died.) You can read more about the escapades of the “man who was declared dead in 1936” here.